One Hour Rebuttal is a new feature in which Joe Steigerwald attempts to discredit, rebut, or unmercifully troll a news report or story in one hour or less. Normally I wouldn’t bother mentioning or even acknowledging a website as pedestrian as theDailySurge.com. It’s a mundane, conservative ripoff of a thousand similar sites that regurgitate trending news stories with snappy headlines and bad commentary. However, being a Steigerwald, it is my duty to criticize poorly researched hockey articles. And we have ourselves a doozy. “Sanction Russian NHL Players,” written by Steve Eubanks, a New York Times bestselling author and former golf pro is a poorly thought-out, hastily written, unresearched collision of American exceptionalism and a misunderstanding of global hockey dynamics. No offense Steve, but you should stick to golf, never mention hockey again and recuse yourself from talking about politics while you’re at it. If President Basketball Bracket wants to get the attention of the Russian people and send a strong message to Czar Putin the Shirtless, there’s one simple way to do it: revoke the work visas for all of Russia’s hockey stars, send them home and freeze their assets in the United States. It’s hard to believe the Putin shirtless obsession and weak cliches aren’t the worst part of this sentence. In order to properly refute this “theory” one has to be aware of the existence of one thing: the Kontinental Hockey League (KHL), the number two hockey league in the world after the NHL. Now for those of you unaware, the KHL is played in Russia, home of Czar Putin the Shirtless. The KHL is also home to many world-class hockey players including Ilya Kovalchuk, who walked away from a $77 million NHL contract to go play in Russia. 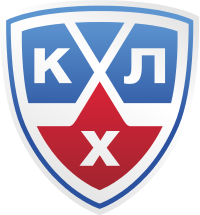 Using a fairly obvious simile, the KHL is to the NHL like Putin is to the United States. In other words, the KHL is unhappy with the NHL’s hockey hegemony and wants to be viewed as a legitimate competitor. The KHL endeavors to achieve this goal by poaching players from the NHL through lucrative offers. Dynamo Moscow of the KHL tried to lure NHL superstar Alexander Ovechkin during the NHL’s lockout. Now if Obama decided to send the 28 Russian born players in the NHL (down from 64 in 2004) back to Russia who would that benefit? Is the answer A) the NHL, America’s premier hockey league or B) the KHL, pride of the Russian motherland. Obviously the answer would be B. Given the option of heading home to an unknown future or “defecting” and continuing to draw a paycheck, you’d have to believe a few would bid the Motherland a fair adieu. Granted, NHL honchos would have a conniption fit, but not like the full-blown, chest-beating meltdown the Russians would have. Hockey is football in Russia: closer to religion than sport. If you want Muscovites protesting Putin’s every step and pressuring him to stop his westward advance, hit them where they live. Send their hockey players packing. Let’s see how many of today’s modern stars give up their lifestyles for a CCCP jersey and the honorary rank of captain in the new Soviet Army. It’s not Steve is dumb, it’s just that Steve doesn’t understand that there is another hockey league that operates in Russia and has been trying to do, for years, the exact thing that Steve has just proposed. Okay maybe he is dumb (or incapable of using Google). Or maybe he had never heard of the KHL. Maybe he wasn’t aware that going back to Russia to earn comparable paychecks and playing in their homeland was not only a possibility, but one with strong allure for many Russian players. Putin would love to see the Russian hockey players back home, in front of the Russian people, generating money for the Russian state. The KHL would receive a massive boost in credibility, and the NHL would in turn suffer. KHL fans would get to watch their heroes in person instead of tape-delayed from the US and the league would undoubtedly flourish. So, sorry Steve, your brilliant strategy of leveraging the Russian NHL players in backing down Putin’s unstoppable march towards Europe probably isn’t going to work. It was a really stupid idea, without any real thought and you would be laughed at if you suggested it to anyone other than the Daily Surge. End. 3:07 PM. Total time 1:05 minutes. I promise to do better next time. Don’t be a doofus, follow me on Twitter. And like The Stag Blog on Facebook while you’re at it. Just call him Rick Reilly, Indian whisperer. As much as I hate the PC crowd, there are lines. Lines that white 11-time sportswriters of the year from ESPN probably shouldn’t cross. It’s not that I’m against anyone opining on any subject. But if you’re going to write about why the Redskins shouldn’t change their name it’s probably best if your star witness isn’t your part American Indian father-in-law. I guess this is where I’m supposed to fall in line and do what every other American sports writer is doing. I’m supposed to swear I won’t ever write the words “Washington Redskins” anymore because it’s racist and offensive and a slap in the face to all Native Americans who ever lived. Maybe it is. I just don’t quite know how to tell my father-in-law, a Blackfeet Indian. He owns a steak restaurant on the reservation near Browning, Mont. He has a hard time seeing the slap-in-the-face part. Reilly, whose wife’s father speaks for all Native Americans, doesn’t care, so you’re off the hook, America. Who cares if the dictionary defines Redskin as dated and offensive, who cares if the team was named by one of the most notorious racists in the history of professional sports. Who cares if Reilly himself was one of the first sportswriters to come out against professional sports teams who caricatured Native Americans, before he was against it. Who cares that the Oneida Indian Nation is actively protesting the name? As much as it pains me to agree with The Nation or Huffington Post, they’re right. Once one of the most respected sportswriters in the country, Rick Reilly’s fall from grace since leaving Sports Illustrated is well documented. But his weak defense of “Redskins” is so monstrously out of touch and misbegotten that it’s more likely that it will have the opposite effect as intended and will drive people over to the other side of the debate. Really, Reilly couldn’t have penned a better article for those arguing for a name change. A middle-aged white man, using anecdotal evidence derived from relatives and some high-school employees, yeah, that’s going to change a lot of people’s minds. Reilly takes the few Native Americans that he spoke to across the country and uses that as proof they don’t care about the name. Hell they’re even proud of it. Nice try, Reilly, but what you’ve forgotten to mention in your strawman argument is that no one is trying to scrub the moniker “Redskins” from all America’s sports teams — just the one that has no affiliation with Native Americans. Reilly is unmoved even by his fellow ESPN employees are jumping on the hate wagon. Edmundo Macedo, vice president of ESPN’s Stats & Information group, told ESPN ombudsman Robert Lipsyte that the term Redskins is abhorrent. “We would not accept anything similar as a team nickname if it were associated with any other ethnicity or any other race,” Macedo said. In fact, ESPN and many other media companies cover the Notre Dame Fighting Irish, the Cleveland Indians and the Atlanta Braves without a single searing search of their social conscience. Doesn’t matter. The 81-year-old Washington Redskins name is falling, and everybody better get out of the way. For the majority of Native Americans who don’t care, we’ll care for them. For the Native Americans who haven’t asked for help, we’re glad to give it to them. Trust us. We know what’s best. We’ll take this away for your own good, and put up barriers that protect you from ever being harmed again. Kind of like a reservation. A lesser property than Reilly would have been fired on the spot for that last line. But Reilly is still gainfully employed (for now). As far as the other teams mentioned by Reilly are concerned, Indians is not considered a slur, neither is Braves. Notre Dame Fighting Irish could be construed as an insult but as Joe Flood at Buzzfeed notes, “the key difference between Notre Dame and the Washington Redskins: Notre Dame is a Catholic, largely Irish institution. ‘Fighting Irish’ is their term to use.” Just like “Redskins” is okay for Native American high schools that want to use it. It’s safe to think that Reilly wouldn’t have been so bold in talking about a larger, more powerful minority group. If he had been talking about African-Americans would he have had the gumption to write “plantation?” No, because Jesse Jackson would have been on him before he finished typing the sentence. And therein lies the crux of the problem. Since Native Americans only make up 0.6% of the population of the United States, they don’t have the power to make their voices heard over the NFL noise machine.